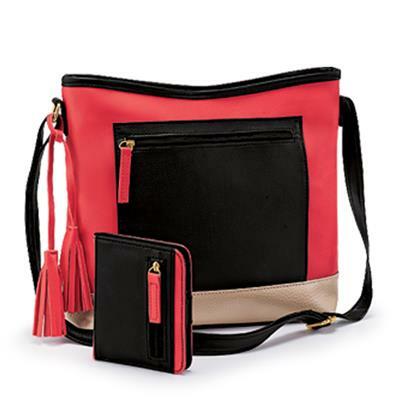 Matching bag and purse at a great value? Yes please! - PU leatherette bag: Zipped outer compartment, one inner pocket, and 2 compartments. - PU leatherette purse: 6 card slots, 1 slot for cash, 1 pocket for coins.